​1. 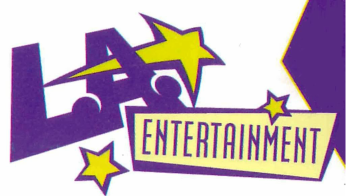 How does someone join L.A. Entertainment? Please ensure that you fill in the online performer application (Note: you must be legal age to do so). 2. What do you do now that you have filled out the online performer application? Thank you for submitting your performer application. All potential candidates for Principal work and background work must also use the contact form located on this site to contact us. Once we receive your email we will set up an online or in-person interview. We welcome performers who have a flexible schedule, ideally have graduated from a film/television/performing arts program and who reside preferably in/around the GTA. However; we are now open to expanding our talent database to include the Hamilton/Niagara Region and the Ottawa/Montreal regions. Your conduct while working on-set for L.A. Entertainment should always be nothing less than professional. Therefore, it is paramount you are ALWAYS on-time and ready to work/audition with the appropriate attire and items requested. **TALENT MAY NOT disclose booking, set or other relevant details regarding work, to any one, for any reason. NO Tweeting NO postings of any kind including pictures that relate directly to the set, location or scene/project you are working on please. NOTE: ALL talent must provide a copy of the Ontario Health and Safety Certificate prior to working. As well, must keep a copy on their person to turn into each new production worked on for their records. You must keep a hard copy on your person to provide on set if asked and email us a copy as well. Please click on the link below in order to complete this now. 4. What is the current fee structure? FULL ACTRA Or Apprentice member Background talent are free to register with us. AABP or Non-union would be subject to an initial * registration fee and HST. ($100/year +hst). (*As of Aug 2017) and must maintain active profiles ongoing on www.bg4hire.com at your own expense. Subsequent yearly renewable fees are $25.00+hst / year. If you do not renew we will assume you no longer wish to do background work and will be removed from our roster. All Children under 18 yrs old and adults over 65 are not subject to initial or renewal fees with us for this. All Principal talent are subject to a yearly fee ($10/mth OR $120/year +hst) and must maintain active profiles on www.castingworkbook.com (at your own expense) and www.actorsaccess.com (free to you). IF you do not renew with us yearly or keep those profiles up-to-date we will remove you from our principal roster. Children under 13yrs old are not subject to this. Standard across the board commission for all Talent irregardless of union status. The commission is calculated on the gross subtotal amount of your paystub. 5. What about getting paid? Normally all cheques for Talent hired for Principal work comes directly to the agency. Principal ACTRA members on our roster must fill in the following form and submit directly to ACTRA the Agent authorization form. Note that some Non-union gigs can take from 30- 90 days for payments to be processed. We must invoice the client and then they pay us. Afterwhich, cheques are issued to talent for mailout. • All Non Union Performer’s cheques must be mailed to the Agency, DO NOT mail them to your own address. • If you are an ACTRA performer-when mailing in your commissions please copy the top portion of your pay stub with your payment. Please make the commission Cheques payable to L.A. Entertainment, otherwise you can pay cash or e-transfer directly or email us. $50.00 Cancellation fee for a confirmed booking, without adequate reason. $25.00 Late fee penalty, should casting alert us you arrived late. $1.50 s/c for mail-out (if no Self addressed stamped envelopes on file) if requested. 6. Where can I find more information that is helpful? Please see our links page for more industry related information. 7. What type of pictures do I need? BG talent must upload pictures that reflect your current look to your bg profile on bg4hire. One must have a white background (head and shoulders, front view) the others, can be business, casual, formal wear looks. Digital quality with no one else in them. ​Principal talent need recent a recent actor's headshot. Note: As your look, sizes, address, schedule changes, those can be updated by you on your current electronic profiles as well as resubmitting your performer application again using this site with your new information. Take a look at the"ON-SET GUIDE" click here. As well as, some COMMONLY USED TERMS click here.